By some measures, China is still a developing country, but it has grown considerably in recent decades. 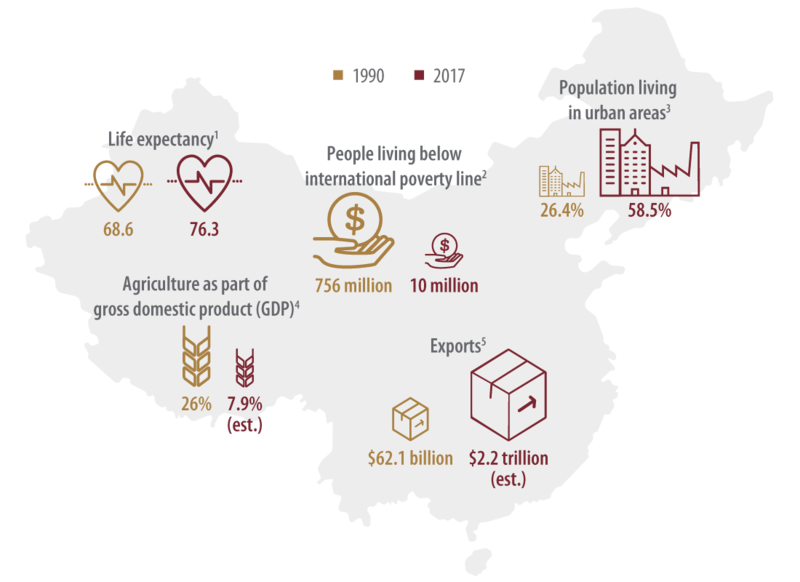 In fact, since 1990, China has made remarkable advancements in the key indicators of a modernized society. 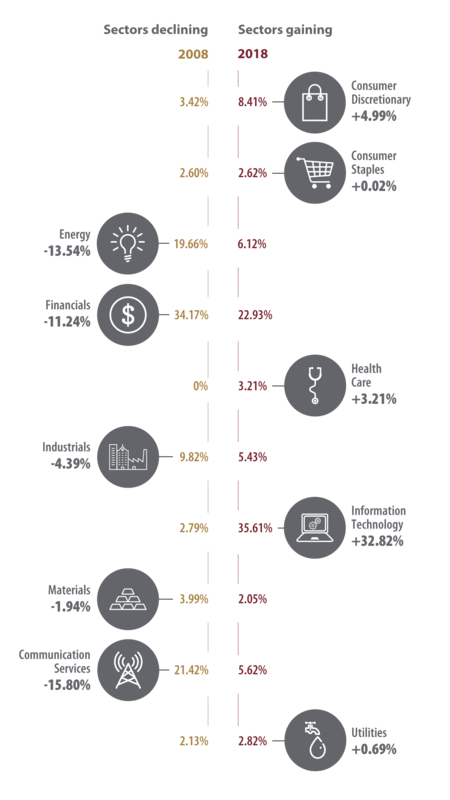 These advancements hint at long-term investment opportunities. China’s development over the past 20 years has been remarkable. 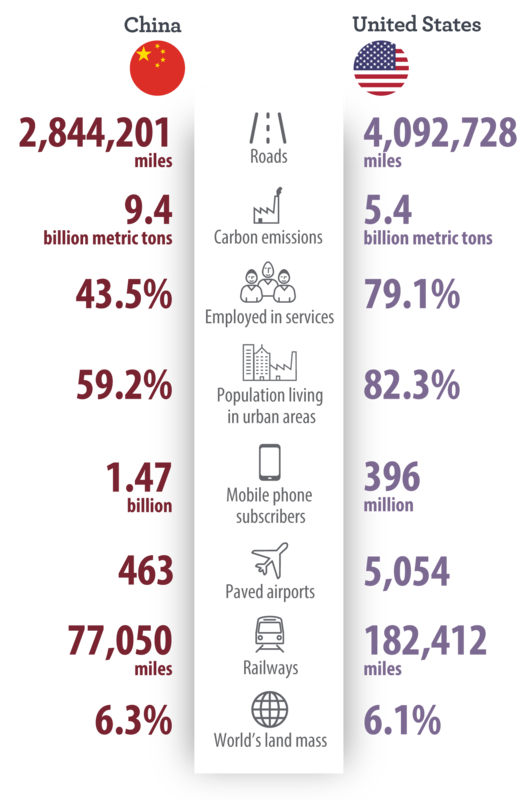 In a relatively narrow span of time, nearly ¼ of China’s population left their rural homes to take advantage of growing economic opportunities in the cities. During this same period, the share of the population living in extreme poverty fell from 40% to less than 1%. 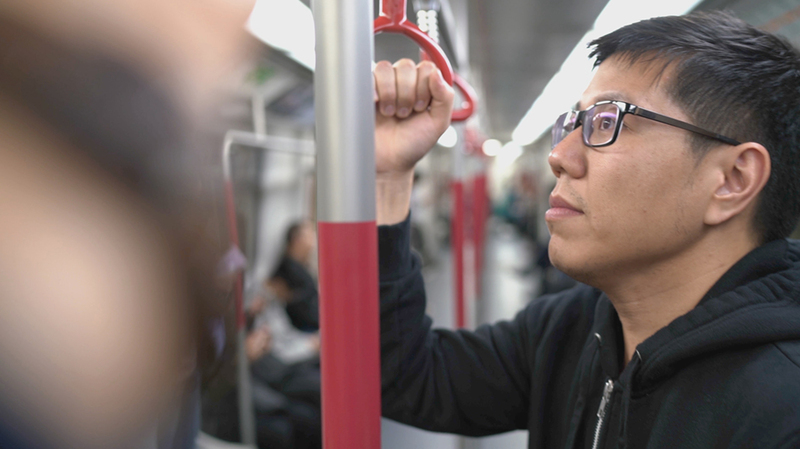 We believe this is a result of Beijing’s long-term plan to create an increasingly affluent population, supported by a services and consumption-oriented economy. Yet, this explosion in growth has led to concerns over China’s increasing global prominence—and has fueled recent trade disputes. By many measures, China is still a developing economy, and has a ways to go to achieve its goal of a level of prosperity that is comparable with that of more advanced economies. 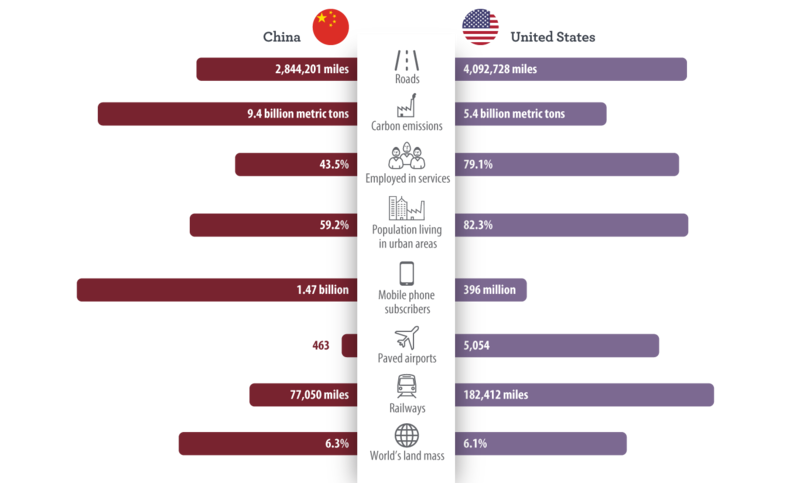 In fact—assuming that the current pace of economic growth in China evens out—we estimate that the size of the Chinese economy could match that of the U.S. by 2036, but because China’s population is expected to remain nearly four times the size of the U.S. population for the foreseeable future, China’s per capita wealth could continue to lag the U.S. Even so, as China’s economy and global influence advance over the next few years, we anticipate long-term growth opportunities as Beijing begins easing restrictions and encouraging greater use of its equity and debt markets by foreign investors. In our view, investors who wish to benefit from China’s economic expansion should carefully consider a diversified allocation to emerging market assets. 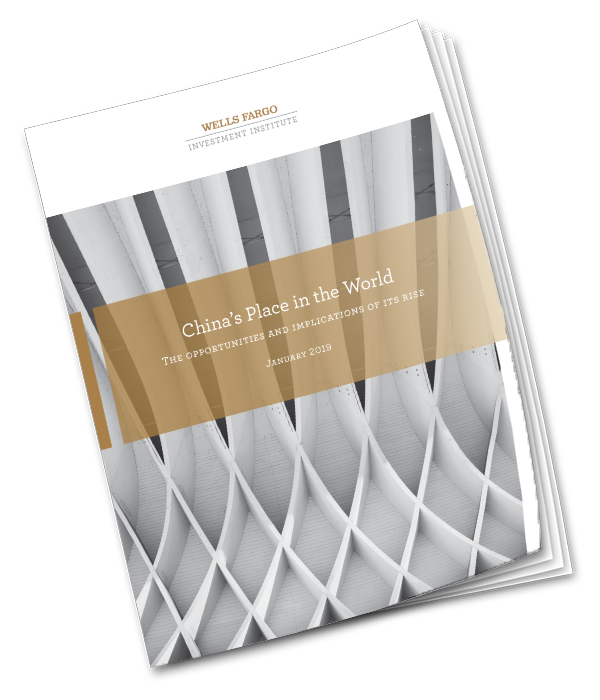 To learn more about how these dramatic changes in China’s economy could affect global investors, download our Wells Fargo Investment Institute special report: China’s Place in the World. All investing involves risk including the possible loss of principal. Investing in foreign securities presents certain risks not associated with domestic investments, such as currency fluctuation, political and economic instability, and different accounting standards. This may result in greater share price volatility. These risks are heightened in emerging markets. Two large undertakings—Made in China 2025 and the Belt and Road initiatives—are driving the next stage of China’s growth and long-term development. Beijing is implementing policies aimed at pivoting the economy away from investment and manufacturing-oriented growth and toward innovation and services-oriented growth. As part of this process, China has signaled a desire to make its economy less reliant on foreign commercial partnerships and give more preference to domestic innovation and industry. 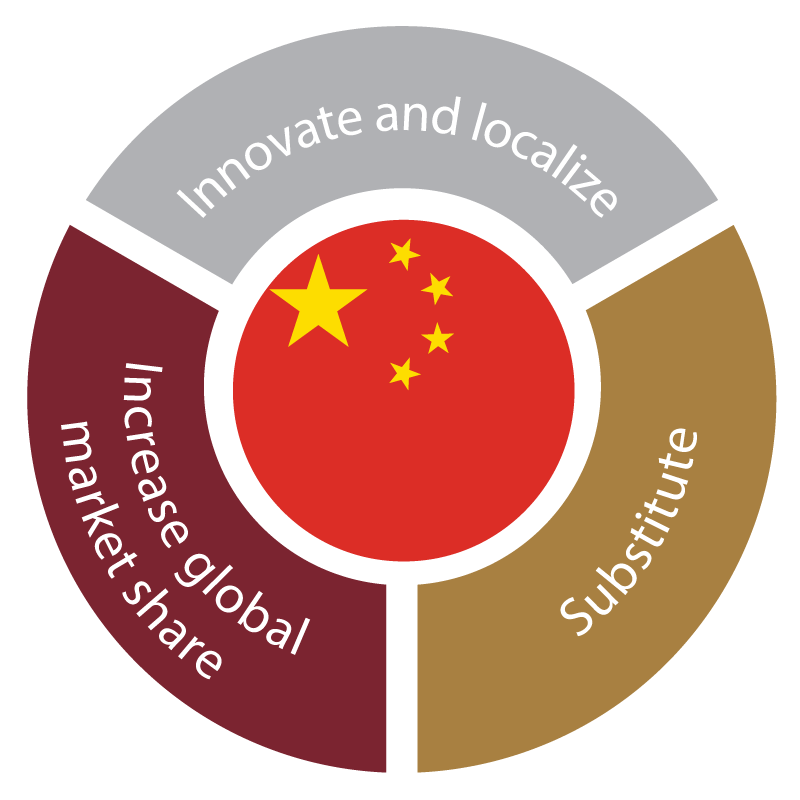 Here are the three core tenets of Made in China 2025. This plan will create trade routes that will secure the resources needed for China’s homegrown wares and feed an increasingly affluent population. 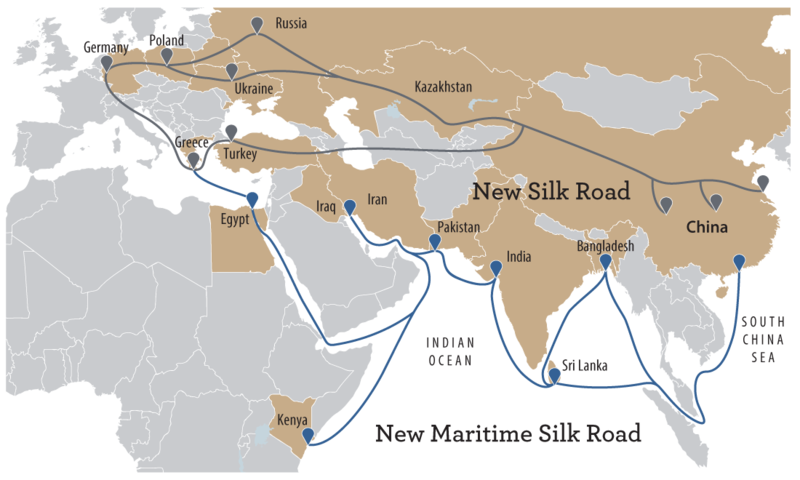 Sometimes called the New Silk Road, this initiative will create a “belt” of overland routes and a “road” of maritime routes. WHEN SIZE OF CHINA’S ECONOMY COULD SURPASS U.S. Assuming that the current pace of economic growth in China evens out at 6.5% (compared to a long-term average of 15%), we estimate that the size of its economy could match the U.S. in less than 20 years. GDP growth forecasts: China vs. the U.S. 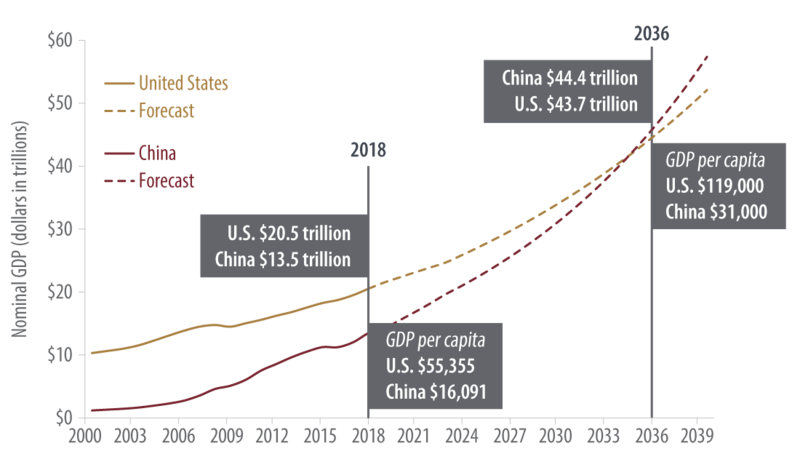 The absolute size of China’s economy is likely to surpass that of the U.S. before its per capita wealth does. Sources: Wells Fargo Investment Institute and Bloomberg, as of October 19, 2018. Forecasts are based on certain assumptions and on views of market and economic conditions which are subject to change. Measures of infrastructure development suggest China must develop further in order to reach its desired level of prosperity. Index providers have gradually increased China’s relative weighting in their investment benchmarks as the size of the country’s capital markets and available investments expand. As a result, many investment portfolios—even those that are simply maintaining a diversified allocation to emerging markets—will likely be affected. In 2018, equity index provider Morgan Stanley Capital International (MSCI) added more Chinese companies to its Emerging Markets Index, taking it from 100 to more than 400 names. The increases in the Information Technology and Consumer Discretionary sectors highlight some of the changes in China’s economy. After a decade of double-digit growth, China’s supply of marketable debt is now approximately on par with that of Japan. Global investors won’t be able to ignore China’s influence as it continues to grow and liberalize its capital markets in the years to come. In our view, appropriate next steps fall into these two categories. Those interested in gaining exposure to China’s markets should do so through a diversified allocation to emerging market assets. These markets are positioned to benefit from China’s broadening trade relationships. A diversified exposure should also blunt some of the risks of investing in China as a single market. Those averse to investing in China should still stay informed about developments in the country’s economy and capital markets. These developments are likely to increasingly impact the global economy—and investors’ portfolios. The full report includes more insights to help investors succeed in 2019. 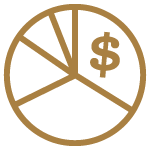 Wells Fargo Investment Institute is home to more than 100 investment professionals focused on investment strategy, asset allocation, portfolio management, manager reviews, and alternative investments. Its mission is to deliver timely, actionable advice that can help investors achieve their financial goals. 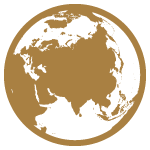 For additional investment insights and timely market commentary, visit our website. For assistance with your investment planning or to discuss the points in this report, please talk to your investment professional. The information in this report was prepared by the Global Investment Strategy (GIS) division of WFII. Opinions represent GIS’ opinion as of the date of this report; are for general informational purposes only; and are not intended to predict or guarantee the future performance of any individual security, market sector, or the markets generally. GIS does not undertake to advise you of any change in its opinions or the information contained in this report. Wells Fargo & Company affiliates may issue reports or have opinions that are inconsistent with, and reach different conclusions from, this report. Wells Fargo Advisors is registered with the U.S. Securities and Exchange Commission and the Financial Industry Regulatory Authority but is not licensed or registered with any financial services regulatory authority outside of the U.S. Non-U.S. residents who maintain U.S.-based financial services accounts with Wells Fargo Advisors may not be afforded certain protections conferred by legislation and regulations in their country of residence in respect of any investments, investment transactions, or communications made with Wells Fargo Advisors. Wells Fargo Advisors is a trade name used by Wells Fargo Clearing Services, LLC, and Wells Fargo Advisors Financial Network, LLC, Members SIPC, separate registered broker/dealers and nonbank affiliates of Wells Fargo & Company.